Outsourcing services that fall outside a company’s core expertise (consider for example executive recruiting or IT services) allows the company to access expert work product on an as-needed basis. Outsourcing means not having to pay a full-time salary to an expert who is needed less than full-time, and not having to pay the full cost of the training, equipment, and other overhead expenses of that expert. The adoption of an outsourcing approach to legal services is a natural and inevitable development in business today. For small companies, legal work has always been outsourced, with a lawyer’s help sought in response to infrequent events: incorporation, real estate purchases, the negotiation of important contracts, and the resolution of disputes. Even large corporations with in-house legal departments outsource specialized legal work. These arrangements have worked well (and will likely endure) for businesses at either end of the size spectrum. But some companies are neither large enough to justify a full-time in-house lawyer nor small enough to manage with only occasional legal help. A new category of providers, some of whom describe their services as those of “virtual general counsel,” has emerged to meet the needs of these organizations. Virtual GC providers appear in multiple forms: as sole practitioners, as members of traditional firms, as firms specifically created to offer virtual GC services, and as members of multidisciplinary service companies (for example, companies that also offer accounting or tax services). These services are typically priced based on a contract that is more general in scope and lasts for a longer term than a traditional retainer. Most virtual GC providers advertise that fees under these arrangements are more cost-effective than traditional corporate law services. Many firms marketing virtual GC services (for example, Conduit Law and Patry Law) also offer lawyers who can support clients on a full-time basis for the duration of a time-limited project. Do virtual GCs need professional indemnity insurance? While lawyers who brand themselves as virtual GC may seek to emphasize the ability of their services to stand in for those of in-house counsel, from a liability perspective, they are in a quite different position. In-house corporate counsel who are employed by corporations are typically exempt from payment of LAWPRO professional indemnity insurance premiums. This exemption is offered on the basis that these lawyers work for a single client – the company that employs them. The perfect alignment of their work activities with the company’s core business means that if they were to commit an error, the error would legally be the company’s own; barring misconduct, the company would not have a valid claim against them. Any risk that a company takes in employing an in-house lawyer is not distinguishable from, for example, the risk the company takes in employing an in-house human resources manager. Should the company choose to insure against the risk that its own employees will cause losses, it is free to do so. A virtual GC, by nature, is not an employee. As a non-member of the company, a virtual GC is a separate legal person who is capable of being sued by the company in negligence, even if the company were to be, at any particular moment, the virtual GC’s sole client. As a provider of professional legal services in private practice, a virtual GC is not exempt from the requirement to have professional indemnity insurance coverage. In fact, because of the potential for high-value losses associated with the provision of services to successful businesses, virtual GC providers would be well advised to obtain excess insurance coverage beyond the limits of the Law Society’s mandatory program. Since excess coverage is offered on a firm basis, it may be appropriate to disclose whether there are other lawyers who might, in the event of a claim, be considered to be working in association with the applicant. Virtual GCs who currently work, or have in the past worked, in association or partnership with other lawyers will also need to obtain Innocent Party insurance. Innocent Party insurance provides coverage against the dishonest, fraudulent, criminal, or malicious acts or omissions of others. Some virtual GC providers advertise themselves as able to assist the corporation with matters that are better characterized as strategic planning or risk management than as legal advice. A virtual GC lawyer who provides advice that falls outside the LAWPRO definition of professional legal services will need to be aware that his or her professional indemnity policy does not cover the negligent provision of those services. As a result, he or she may wish to consult with an insurance broker about other coverages, for example, miscellaneous E&O-style coverage, that may offer protection for non-legal advice. 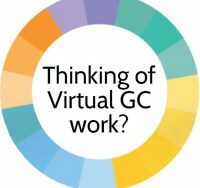 While choosing to provide services as a virtual GC will not provide a path to exemption from malpractice insurance requirements, it can be a rewarding career for lawyers who crave the continuity of long-term lawyer/client relationships and an opportunity to support the success of growing businesses.